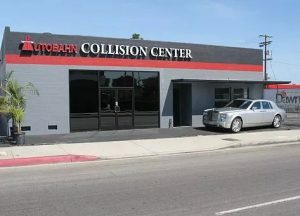 With more than 20 years of experience, Autobahn Collision Center in Torrance is your one-stop-shop for all your auto body and repair needs! We have been providing our customers with exceptional auto repair services and personalized customer support since 1995. At Autobahn Collision Center, we provide high-quality auto repairs. We have kept our customers happy by always delivering honest services that they can trust. Thanks to the work of our expert technicians and help from state-of-the-art equipment, there is no task too big or too complex. We strive to get your car running and in great shape as quickly as we can. Your satisfaction is more than a goal, it is what motivates us to always do things right the first time. If you’re looking for the best auto repair center in the area, you’ve come to the right place! Give us a call and we will work to find solutions to your car troubles that allow you to get back on the road in no time. One of our friendly mechanics will assess your vehicle and let you know how much the repairs will cost. Same-day appointments are available – let us know how we can help you today!